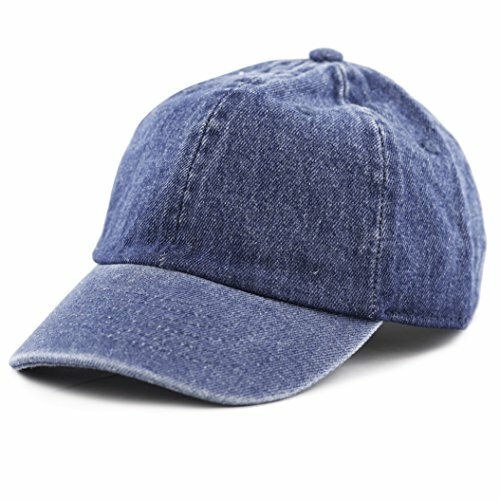 THE HAT DEPOT Kids Washed Low Profile Cotton and Denim Baseball Cap (Dark Denim) by THE HAT DEPOT at Mas Fashion. Hurry! Limited time offer. Offer valid only while supplies last. UPDATES: Comes in TWO sizes: 2-5 Years and 6-9 Years. Unstructured, Low Profile, Six Panel.